@mohrt, for your tip of 15000 satoshis, I will send 48 txs with the message: bch... You can watch here https://seashells.io/v/PWMzRPfh in the run: R820. scale.cash now allows up to 1.3 million satoshi's *Donate change and collected dust to eatBCH* If unchecked, then that change will stay in scale.cash to be used in a future test. I think I would believe Alexa #'s over Simiilarweb. Tried to talk with someone at Simweb why the numbers would be different. He didn't seem to know what's going on. Rank of Memo. cash from Alexa Rankings. Actually not to shabby. Global Rank: 189,130 UP 28,836 for the month. Hi everyone! Nice to know that BCH already have its new dapp social media among others. As memo.cash does, I like to stay with it and flowed within. Give me the best instructions! Thanks. I bought BCH today,holding some USD back incase more dip.I dont mind the term BCash Bcause my name is Brian!I think of it as Brian Cash lol.if they dont like it they can send it 2 me. Bitcoin Core developer Cory Fields' article about BCH bug. I have just joined memo. Feeling great to be here and interact with the bitcoin cash community. 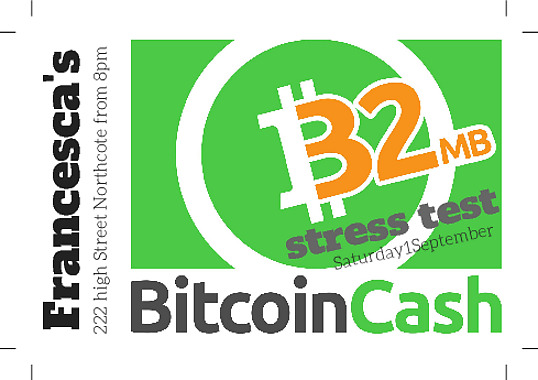 My colleagues and I are organizing @eatBCHSS and introducing bch to our friends in between our schedules. "Socialism produces bad music, bad art, social stagnation, and really unhappy people." -Frank Zappa get that on the blockchain! Art is the enemy of socialism because art springs from an individual's desire to communicate ideas. Socialist sycophants desire only to crush artists & replace them with propagandists. HAHA! "You didn't call it bcash". Like it's religion or something. are you plotting that yourself or is there a public source?